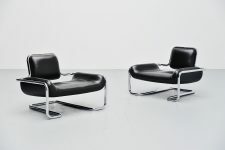 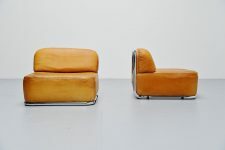 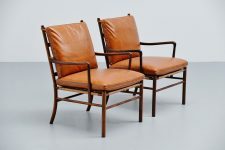 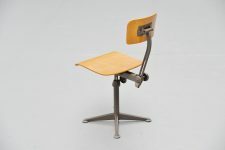 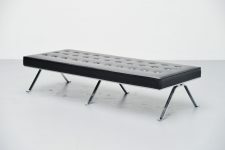 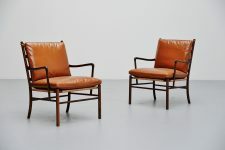 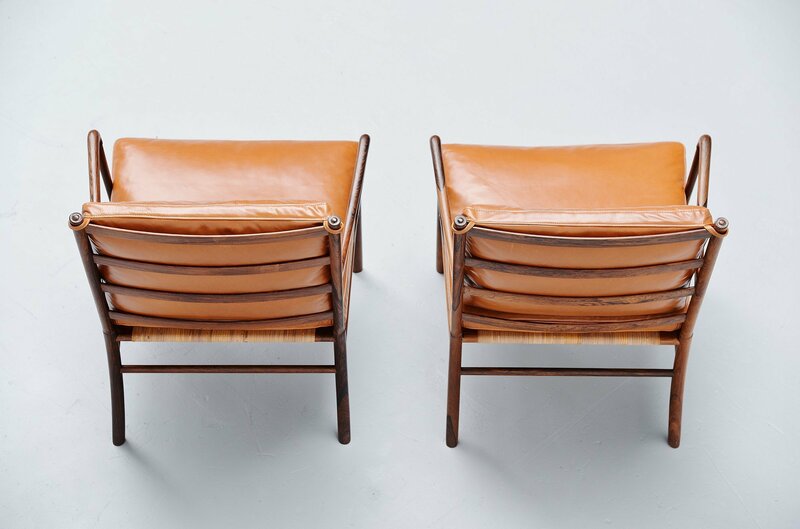 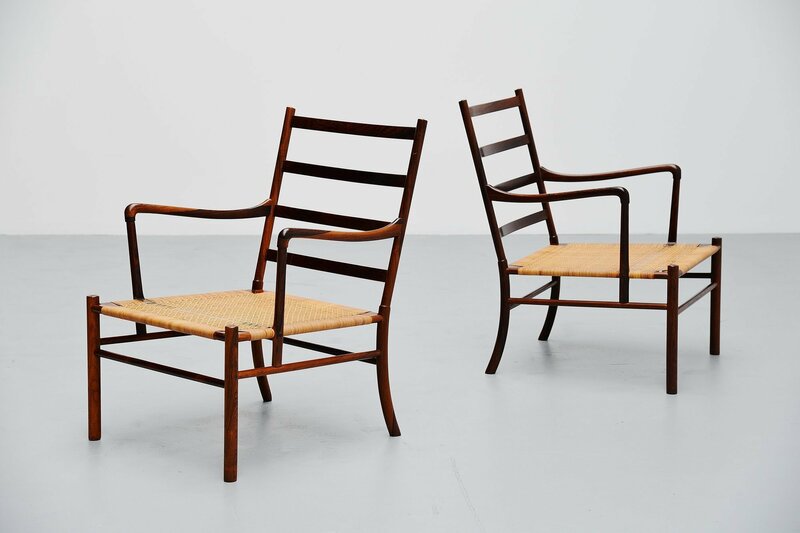 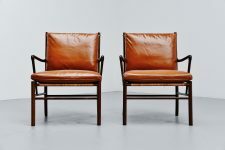 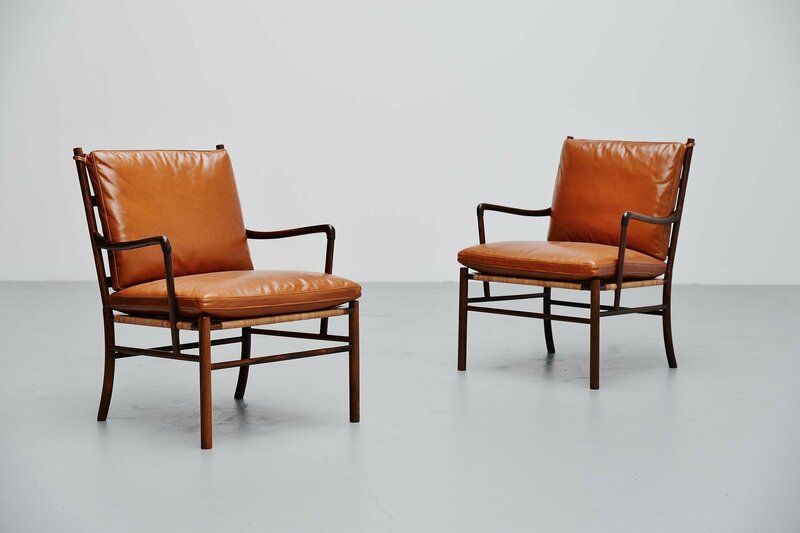 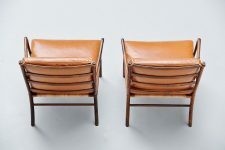 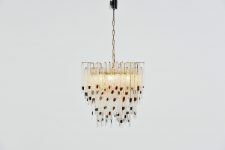 Spectacular pair of armchairs designed by Ole Wanscher and manufactured by Poul Jeppesens, Denmark 1949. 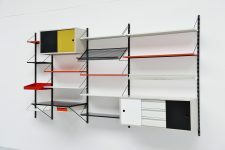 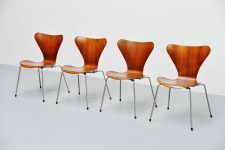 These examples shown are the very first productions from ca 1950. 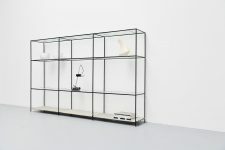 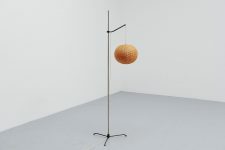 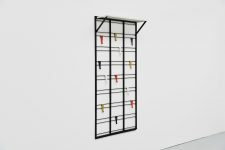 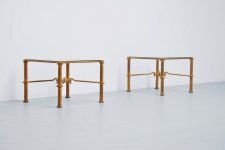 With the cane wrapped around the frame instead of an inlay frame with cane. 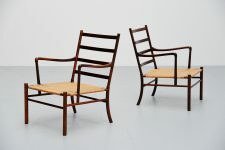 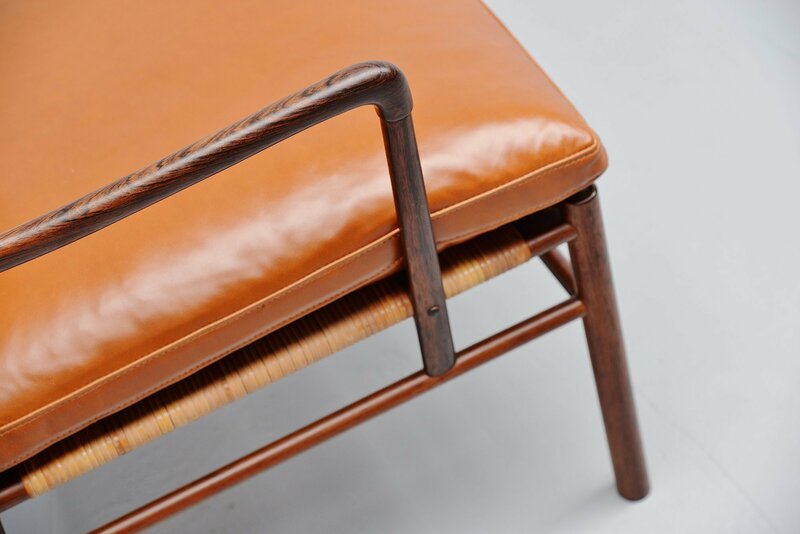 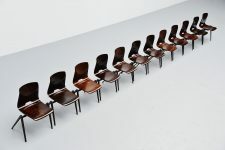 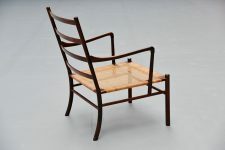 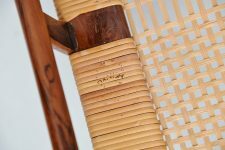 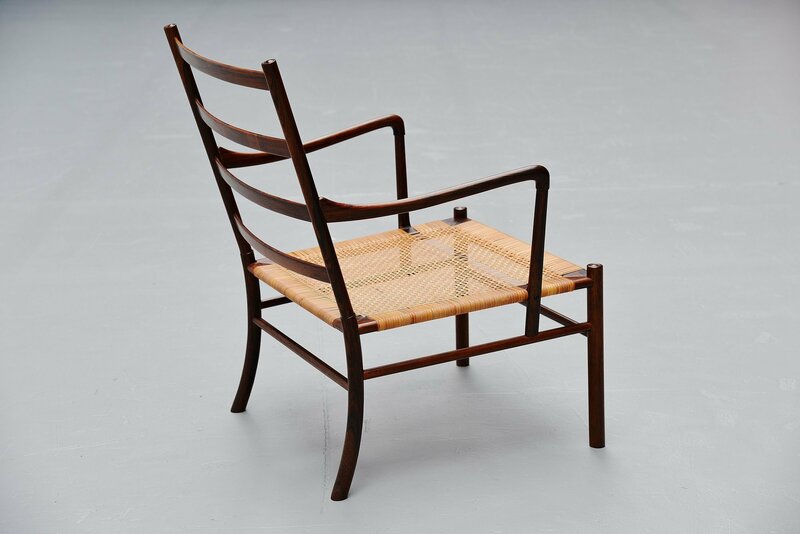 The chairs are made or solid rosewood and are both stamped with the Danish Furniture Control stamp on the underside of the cane seats. 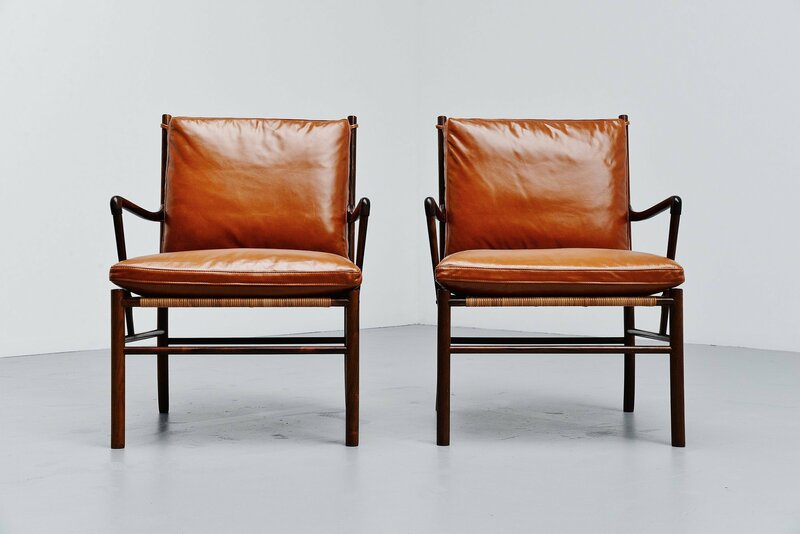 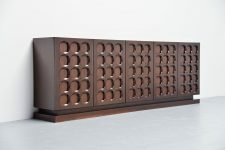 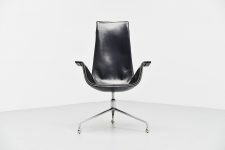 The chairs are in excellent condition, the leather is newly upholstered in cognac colored leather. 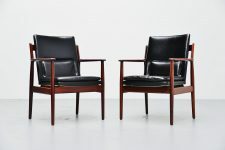 These first examples are very hard to find, especially a pair in this condition.